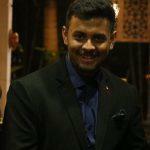 We all want to earn money, maintain good savings, and achieve our financial objectives. But, as we all know, it’s not that easy. Earning money is hard, maintaining it is harder. 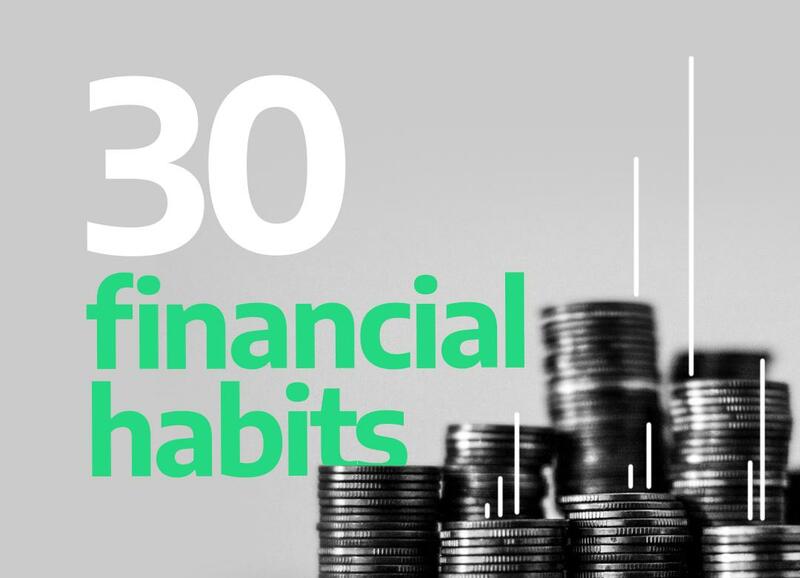 However, we have compiled a list of 30 personal finance habits that you can follow to be on the track of that dream of yours! Spend time to draw out a proper financial plan. Use tools like MS office – excel sheet to project future value of your financial goals. Classify the goals as ‘essential’ and ‘luxury’ and remember what that means. Once you have a financial plan, stick to it. Review it at least once in 3 months to check if you have deviated. Modify the plan when your financial circumstances change, but try to adhere to it as far as possible. Plan your future goals based on what you can earn and save. Don’t account for an inheritance. If you do get a windfall gain from somewhere or a chance inheritance set it aside as a cushion fund. Don’t plan your budget based on a variable component of pay since this is dependent on external factors. If you can manage that, then whenever you do get paid a variable component, you can use it for small or big luxuries or put it away for a rainy day. Read online portals and offline books about the basics of financial planning and investing. Learn about concepts of asset allocation, online transactions, tax implication on your investments etc. Your advisors, friends or family can assist you, but you should know what you are getting into since your hard earned money is involved. There are many online and offline tools that offer knowledge about investing. If you are new to investing, you can create virtual portfolios to understand how the market works. You will be able to learn the consequence of investing without putting in real money. Don’t invest all your savings in one place. Break your investments into debt mutual funds, equity mutual funds, post office schemes, gold funds and real estate. The proportion of investments in each category should filter down from your financial plan. Money towards long-term goals can go into equity, equity mutual funds and real estate. Money towards near-term goals must go into investments that are not prone to risk and are easy to liquidate, like Debt mutual funds, 1 year fixed deposits etc. While you should diversify, you need not over-diversify your portfolio. It would increase your costs. On the other hand, if any of the investments do well, you will hardly see any monetary gain, because you had invested very little in the first place. So a rule of thumb is to have 2 leading funds in each category. The amount of investment in each fund should be a reasonable – not too little and not a lot. The power of compounding is a phenomenal concept. Simply put when you invest regularly – 1 becomes 2 and 2 becomes 4. So if you start investing early, even small amounts can make a huge difference. Start investing as early in your career as possible. Don’t wait for that perfect moment to invest your money in the market. Even experts find it difficult to time the market to perfection. The best strategy is to monitor the broader trends of the economy like jobs, Government policies, foreign trade and particular industries. If all of these are showing positive signs for the long term, just go ahead and invest every month. Compounding works best when you invest without a break. So choose a few good mutual funds and set up an ECS or SIP that will invest your money on a fixed date every month. We have seen in the past, equity markets take a downturn at the slightest negative news. But you don’t have to pull out your investments whenever it shows slight losses. If the general economic conditions have not changed, then you don’t need to cut your losses and pull out your investments yet. Hold on and perhaps invest more at this time. In the long run, you will still end up making a good average return. Patient investors stand to gain in the equity (share) and equity mutual fund markets. To invest regularly, you need not spend time every month. After doing some research, choose a few mutual funds and invest directly through a platform like Orowealth. Investing directly will keep your operational cost to the minimum. You can also monitor your investments conveniently at the click of a button. Invest with a target holding period and a target return in mind. Stay on course with your plan irrespective of what your friends and colleagues may tell you. Just keep track of the general economic conditions and any news on the mutual funds you have invested in. Don’t lock all your money in a real estate or other fixed investments like pension plans and provident funds. It takes 6 months, 3 years or 15 years to exit any of these plans so it is best to plan them for a long term. Have a healthy distribution of short, medium and long-term options like – Fixed deposit, NSC, Post office schemes. Provident fund is one of the safest investments around. It is even safer than cash in hand because, in a provident fund, your money is generating steady returns higher than inflation. This means, if you keep a lot of money at home, it may lose value over years. But money in the provident fund is growing steadily. Loan planning is one of the most important aspects of personal finance. Debt is only a help if you use it wisely. So if you need to take a loan, go back to your financial plan and see how much EMI you can comfortably pay every month. This should decide your loan amount. There are plenty of loan products in the market- Home loan, auto loan, education loan etc. In each of these products, banks offer many variants. So when you plan for a loan, see which product suits you the most. Don’t go by what the bank is advertising or offering you. Do some research and find out which products fit your plan and need the best. If you already have loans, consolidate them. Pay off your high-interest loans as soon as possible. If there is an overdue balance on your credit card, then pay that off first. Use your savings, bonus or a top up on home loan for this. These days everyone owns a credit card. It helps when you want to buy products or tickets online. You don’t usually account for credit cards when you make your financial plan. So whenever you use a credit card for an expense, it usually topples your monthly budget plan in the next months. To avoid this, put the card aside and use it only in case of emergencies. It is important that you never keep balances outstanding on a credit card. When it comes to credit cards, if you don’t pay your bills on time, the concept of compounding will work against you. Since credit cards charge high interest rates, you will quickly fall into a deep debt trap. So spend only as much as you can pay off in time. If you manage your loans well, you can save a lot of cash each month. So it is important that you keep loan amount and interest rate to the minimum. If you can, you should consolidate your loans. If you don’t have the option to pay off your loans, you should at least switch over to a bank that can give you a lower rate of interest for the same loan. In the long run, this will also save your costs. A ‘settlement’ is a very deceptive term. If you are struggling with your credit card payments, don’t fall for the trap of bill settlement. This will reflect negatively on your credit score. Instead, use your credit card wisely and try to pay off your credit card bill on time. It also helps your credit score if you always underutilize your credit limit. Don’t underestimate the need for insurance coverage. If you are earning an income, you should have an insurance cover. The question is only about what kind of policy and how much cover you should take. A simple term insurance policy is a great way to start. Even a premium of Rs.7000 per year can give you a cover of Rs.25 Lakhs. If you don’t have sufficient medical cover from your company, you should also add a medical cover. If you are a salaried individual, make sure you use all the avenues to save on tax. Home loans, school fees, mediclaim premium, insurance premium, long-term fixed deposits, tax saving mutual funds and many more investments are at your disposal. Use these tools smartly and save as much as you can every year. If you file your returns after the due date (July 31st) you have to pay a penalty of Rs.5000. Since you can get a form 16 from your company and TDS and Form 16 As from other sources anytime after April, you should try and file your income tax returns on time each year. You should also keep track of any refunds that are due to you and follow up if you haven’t got these refunds from the Income tax department. Always keep some cash in the bank. You may need this in case of emergencies. Don’t depend on the use of credit card when you can save some money in your bank. On the other hand, don’t overdo it either. Just maintain some balance that you may need and keep the rest in at least a fixed deposit at your bank. Don’t underestimate the power of small savings. Save wherever you can. Use discount coupons, use discounts from early payment etc as and when possible. Avoid ad hoc or impulsive purchases. Try to book your flights for travel as early as possible. These small savings can go a long way. Donate to a charity of your choice. If possible, pick one that can give you a tax relief. Some recognized donations can give you 50-100% tax relief. When you spend so much time and effort on the small things, don’t forget, even big expenses need equal or more attention. Don’t ignore the benefit of bargain hunting on big purchases like vehicle, appliances, luxury travel etc. Since you have a financial plan, you will know how much you need to save every month for your financial goals. Once you set that aside, you will know if you have some surplus amount to spend each month. Don’t forget to enjoy your hard earned money every once in a while. Have you been practising any of these financial habits? Tell us about your financial journey. We would love to hear your experiences and thoughts.